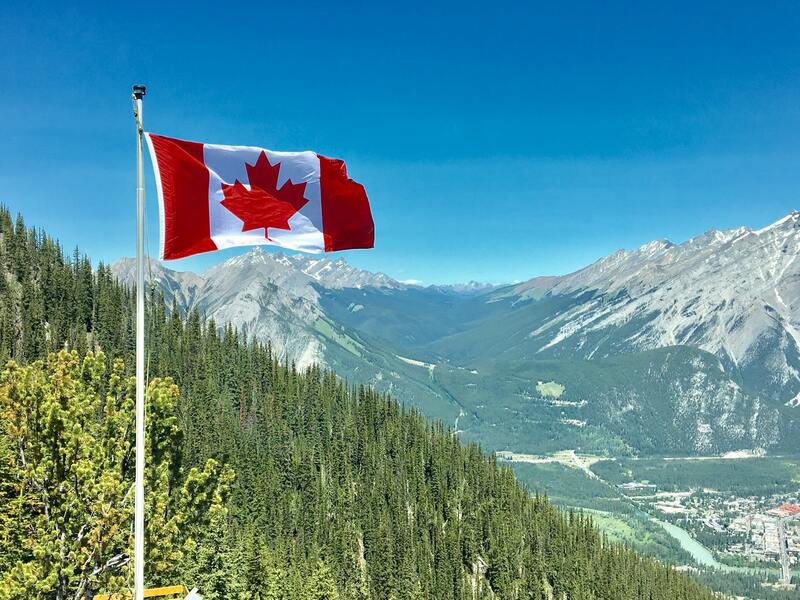 New labour standards tabled on October 29 by the federal government in its omnibus budget bill are deeply concerning for small businesses already dealing with a slew of punitive tax changes and increasing payroll costs, warns the Canadian Federation of Independent Business (CFIB). Seniors make significant and valuable contributions to their families, communities and work places. They helped build Canada and continue to contribute to its success. This is why the Government of Canada is committed to providing Canadian seniors with greater security and a better quality of life. Today, the Honourable Filomena Tassi, Minister of Seniors, visited Edmonton, Alberta where she met with seniors and other partners to hear about issues important to older Canadians. 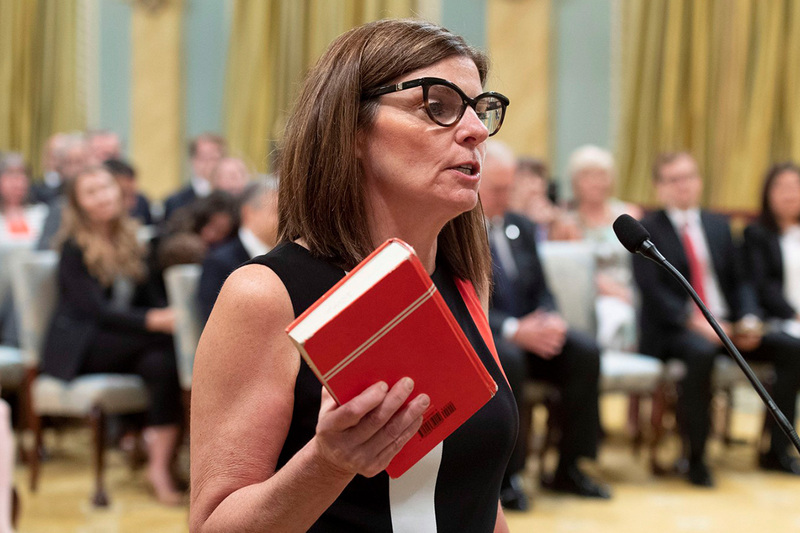 During her discussions, the Minister encouraged seniors to stay active, engaged and informed, and highlighted a number of measures the Government of Canada has taken to improve their social and economic well-being. While in Edmonton, Minister Tassi visited the Senior Association of Greater Edmonton (SAGE) and The Greater Edmonton Foundation Seniors Housing, whose projects form part of the Pan-Edmonton Group Addressing Social Isolation of Seniors (PEGASIS) collective impact plan, funded by the Government of Canada’s New Horizons for Seniors Program (NHSP) Pan-Canadian stream. The projects of seven organizations in total make up PEGASIS. These organizations are working together to measurably reduce the social isolation of seniors in the Edmonton region by providing a variety of social supports, including friendly door-to-door visitor programs and telephone reassurance, information and connections to drop-in events and other community programs and services. Their projects directly support the Government of Canada’s overarching goals to enhance the quality of life and promote the full participation of individuals, including seniors, in all aspects of Canadian society. Minister Tassi concluded her day meeting with seniors at Rosedale Developments Assisted Living, Millwoods Seniors Multicultural Centre and the South Edmonton Seniors Association, the latter of which is supported by the NHSP community-based project stream. The Association offers a variety of activities and services to the community including opportunities for seniors to become or remain physically active in a safe, supportive and clean environment. Seniors are the fastest-growing demographic group in Canada. By 2030, the number of seniors will reach 9.6 million people, representing close to one quarter of Canada’s population. The NHSP fosters social inclusion and the engagement of seniors by encouraging seniors to share their knowledge, skills and experiences to the benefit of others through projects that make a difference in the lives of seniors and their communities. The NHSP has two funding streams: community-based projects and pan-Canadian projects. Community-based projects are eligible to receive up to $25,000 in grant funding and, as of this year, up to $5,000in new small grants funding for organizations that have not received funding within the last five years. Community-based project funding supports activities that engage seniors and address one or more of the program’s five objectives: volunteering, mentoring, expanding awareness of elder abuse, social participation and capital assistance. Pan-Canadian project funding supports multi-year projects using collaborative and innovative approaches to increase the social inclusion of seniors. Today, the Honourable Amarjeet Sohi, Minister of Natural Resources and Member of Parliament (Edmonton Mill Woods), attended the grand reopening of the Art Gallery of St. Albert. Minister Sohi toured the renovated space and delivered remarks on behalf of the Honourable Pablo Rodriguez, Minister of Canadian Heritage and Multiculturalism. The Department of Canadian Heritage invested $389,201 through the Canada Cultural Spaces Fund in support of this project. The project was also supported through the Enabling Accessibility Fund of Employment and Social Development Canada with funding of $34,000. The renovations have improved building functionality and accessibility, while preserving the historic look and feel of the building. Modifications include a wheelchair ramp and new entrance, an elevator to access all three floors and a barrier-free washroom. In addition to making the space fully accessible, the Gallery has expanded, now totalling over 6,000 square feet. Accessible and barrier-free cultural spaces enrich our communities by creating secure, inclusive environments where all Canadians, regardless of background, can access, discover and enjoy cultural programs and activities. St. Albert is a community located northwest of Edmonton and is the second largest city in Alberta’s Capital Region. 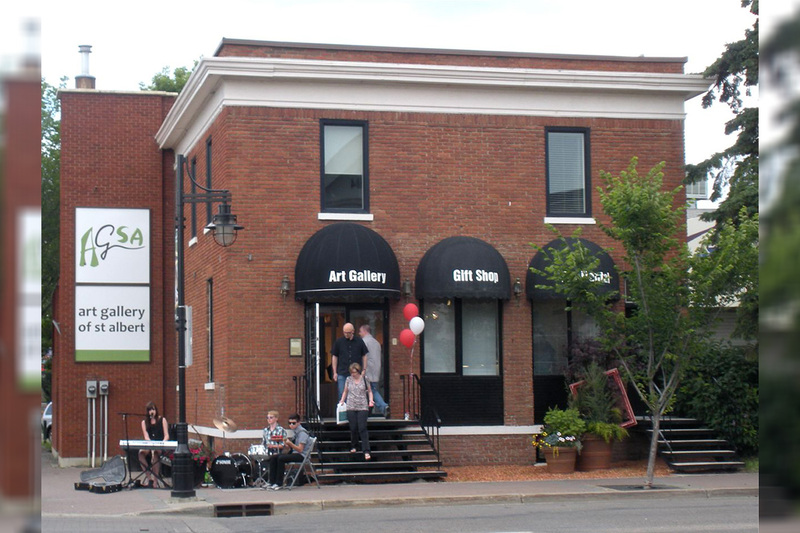 The Arts and Heritage Foundation of St. Albert, established in 1998, promotes the visual arts and the natural and human heritage of the community and surrounding district. The Foundation delivers programs, exhibitions and research opportunities, and ensures the preservation of local historic buildings and artifacts. The Foundation manages the Art Gallery of St. Albert, the Musée Héritage Museum and various heritage sites across the municipality. The Gallery provides enriching educational experiences that celebrate visual culture and artistic achievement through research, exhibition and interpretation. The Art Gallery of St. Albert is a contemporary public art gallery that has been operating out of the historic Banque d’Hochelaga building since 2000. The building was constructed in 1921, with additions in 1955 and 1966. The building received municipal historic resource designation in 2009. The Canada Cultural Spaces Fund supports the improvement of physical conditions for arts, heritage, culture and creative innovation. The Fund supports renovation and construction projects, the acquisition of specialized equipment and feasibility studies related to cultural spaces. The Enabling Accessibility Fund provides funding for eligible capital projects that increase accessibility for people with disabilities in Canadian communities and workplaces, creating more opportunities for people with disabilities to participate in community activities, programs and services, or access employment opportunities. The Art Gallery of St. Albert received $34,000 through the Fund in support of its facility renovations. Today, the Honourable Pablo Rodriguez, Minister of Canadian Heritage and Multiculturalism, announced the appointment of Bruce P. Manion as Vice-Chairperson of the Board of Trustees of the Canadian Museum of Immigration at Pier 21. Bruce P. Manion is a retired public finance executive with over 30 years of experience in the federal public sector. 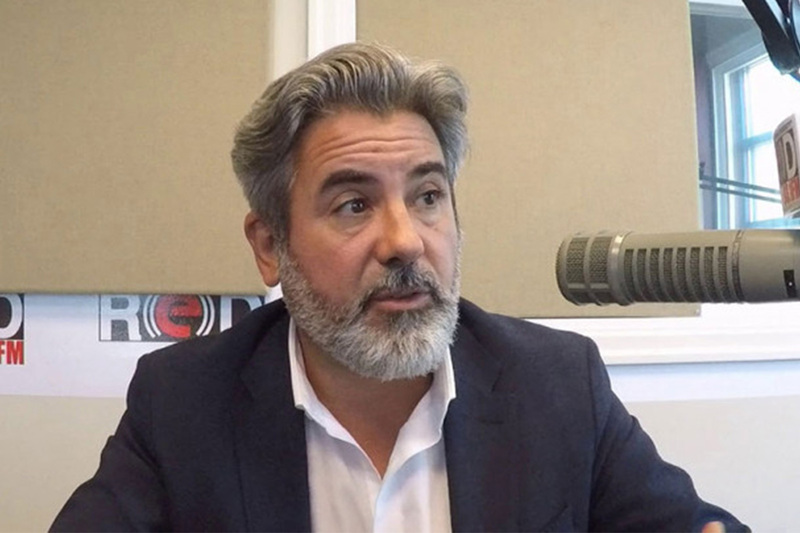 He has been a leader of the federal financial community and has been responsible for driving successful change in a wide range of public organizations both large and small. He is a published author as well as a teacher of public administration. His specialties include financial and management accounting, business process improvement, performance management, audit, and organizational governance and learning. Mr. Manion, who holds a Bachelor of Commerce from the University of Ottawa, is a member of the Society of Management Accountants and a fellow of the Society of Management Accountants. The Canadian Museum of Immigration at Pier 21 enhances public understanding of the experiences of immigrants to Canada, highlights the vital role immigration has played in the building of our country and the contributions of immigrants to Canada’s culture, economy and way of life. It is Canada’s sixth national museum and the only one located in Atlantic Canada. National museums are independent organizations that are part of the Canadian Heritage portfolio. National museums are governed by the Museums Act, which was passed into law in 1990. Pursuant to the Act, Vice-Chairpersons are appointed by the Minister, with the approval of the Governor in Council. This appointment was made under the Government of Canada’s new approach to Governor in Council appointments. This approach supports open, transparent and merit-based selection processes that strive for gender parity and reflect Canada’s diversity, to support ministers in making appointment recommendations for positions within their portfolio by providing them with information and referrals. The new approach requires a selection process for both full-time and part-time positions. As they become available, all appointment opportunities within the 17 organizations in the Canadian Heritage Portfolio are posted on the Governor-in-Council Appointments website. Interested parties can apply online.